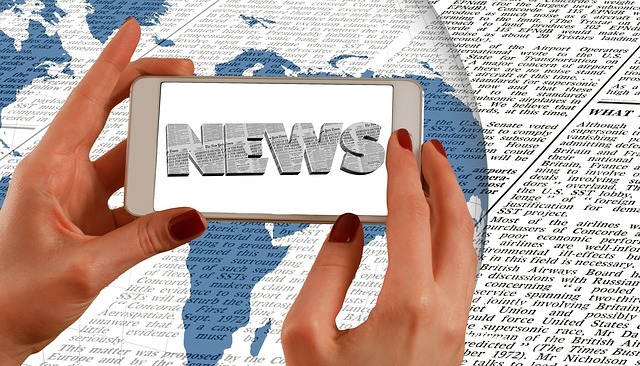 In this short review post I will show you how I use a reliable (yet affordable) press release service as part of my search engine optimization (SEO) efforts and how you can do the same! “Press Releases (PR) are great for SEO“ is something I have been and continue to preach. And for good reasons. The value you get for the money you spend is just unmatched in the world of SEO. So if you’re doing SEO on a tight budget or simply want to diversify your backlink sources and anchor text ratios, pay attention. This guide is for you! Before I break down exactly how press release services work and how they will help your business (especially in terms of SEO), here is a quick behind-the-scenes walkthrough video I shot for you where I review the cheap press release service I have been using for over a year now. In the video I show the kind of links I have been enjoying since I started using Nix’s done-for-you press release services. And the cost? Less than I spend on coffee each month! Of course there are some with lower trust flow, but I have seen some that were higher as well. And I think it goes without saying: These sites process a lot of content every single day, so no – your link will not be on the homepage for more than a few hours. Even so, considering you get a healthy mix of nofollow and dofollow backlinks from most press release sites this service submits to, it’s a huge bargain. I for one have paid more just to get one backlink from a site with 50 Trust Flow (TF). One of the concerns about press release submission services is that the press release submissions get removed from a lot of the news sites after 90 days. This IS sadly true. I’ve found a few solid sites always kept the press release on their sites. As a result each press release service gig I ever purchased from Nix has been worth the investment (even a year later). It’s also why I recommend having Nix do a press release for your site every two to three months. What Does a Press Release Contain? I’m trying not to hype Nix’s service up too much because results may (and do) vary. I have consistently seen fantastic results though (in over 30 submissions these last few months alone), so I’m naturally very confident in recommending him. Although I would never do a press release for the sake of attracting traffic, I know some people who do it just for that. And they tend to get GREAT results doing it. I do generally get SOME traffic as a result of having a press release submitted, but because it’s not my marketing strategy, I don’t specifically optimize the posts for it. In other words, I never bother leveraging a currently trending news story by integrating it into the press release. Again, it just simply isn’t what I am after. All I want is backlinks. Lots and lots of POWERFUL backlinks. So I keep my press releases extremely simple! URL and keyword that you want to promote: I consistently promote actual pages/posts on my sites that I want to rank better with. So generally I have a link to my main page using a brand name (ex: SEODagger.com or even SEO Dagger), then a keyword anchor text in the middle of the press release (ex: Kelowna SEO company) linking to a page within my site, and then a naked URL at the very end (ex: https://seodagger.com/kelowna-seo-company). For keywords, I generally use a very broad one. Something that makes sense but not necessarily something I aim to rank for. For me the sole purpose of doing press releases is to get strong backlinks and to diversify my anchor text ratios. I have occasionally use actual money keyword as anchor texts in my press releases, but I will only ever do that if the page I am linking to has a ton of different backlinks already. The last thing I’d ever want to do is spam my keyword by having more than 15% of the links pointing to any particular page have that exact keyword as anchor text. Anything higher than that and you risk getting penalized for it. PRO TIP: If you suspect you’ve used your main keyword too much, throw another press release at it (maybe even a few more – always using different but relevant anchor texts) and the ratios will readjust themselves and Google will love you again. What’s your website/web page about? How do you want me to promote it if there’s a preference? This is pretty straight forward. Give a short description of what your site is about. In regards to preferences on how to promote it, I generally say “whatever gets me the most backlinks” but that’s really up to you. Just don’t overthink what is press release worthy and what isn’t. The aim isn’t so much to make the news as it is to get juicy backlinks. Name of CEO / Representative party: Feel free to trump your own horn or use an alias. I have done both. It does not make a difference in my opinion. When promoting my wife’s food blog, I have had various companies reach out to her with the intentions of working with her in promoting their own brands, so from that angle – if you’d like companies to get in touch with you – including legitimate information might be in your favour. Company Address and Company Name (Needed): I have a business PO box that I include and have never yet gotten stuff in the mail – so no issues there. I suppose you could use a fake address though. If you don’t have a company name, just use your website name. Whatever you do though, don’t ever impersonate a legitimate existing company. Phone Number: Again, I have a business phone number (via Skype that I pay $6/mth for). Never gotten harassed on there either so you shouldn’t have issues using your actual phone number. If you have a business line, by all means use that. I do think you could ask Nix to not include a number in the press release. I think the same holds true for your company address. Email Address: It’s great to receive a confirmation from dozens of sites saying they approved your press release, but I hate the spam that tends to follow. Which is why I use a throw-away email address that I check on working days (not personal or priority business email). Same as with phone number and address, ask Nix to not include it in the published press release if you’d rather not have it published. City and country You live in: Where is your business located? Not a deal breaker in terms of global SEO, but if you’re targeting a local market, give the specifics. Do you have your own PR article and only need editing to make it NEWS worthy? I usually just have him write the press release from scratch, but have written my own once or twice. Depends on how much of a control freak you are I suppose. For myself I like to keep it hands-off by letting him do all the heavy lifting :). As long as each published press release garners me a handful of backlinks I consider it money well spent. I can insert in 1 image, no more than 1MB, at least, 1000px width. Do it. It is optional but I always try to find a relevant image and insert it. Lately I’ve mainly been using pixabay.com as they have an amazing collection of high quality – free to use – images. Naked URL or Anchor Link or Both, Please state (Needed): I generally opt for both (see point one) just to get more link and anchor text diversity going. All around it’s pretty straight forward. It usually takes me no more than 10 to 15 minutes to successfully order one of Nix’s done for you press release service gigs. He usually sends me the written press release for review just a few days later. Like I said earlier: I am not too picky when it comes to the press release as long as I get good SEO value for it (AKA backlinks). I do however always read through them and make small tweaks if I feel something could be said a little differently or if I find a typo, etc. Again, Nix does a phenomenal job all around considering he almost always has to come up with a press release worthy angle, but – because it represent my website and not his – he does tend to err on the conservative side. Which is sometimes where I make small tweaks but honestly, if you like the hands off approach, just tell him to blast it out to the press release sites and you are guaranteed to get at least a few dozen solid backlinks. After my approval, it usually takes him a couple more days to submit it through his fine-tuned press release submission service. A few days after the submission goes out, he sends me a detailed PDF report that shows all the the press release syndication sites that picked up the submission up to that point. Of course it always varies how many news sites actually syndicate it, but I generally have mine picked up by 200 to 350 sites. Not bad for $67. Not bad at all! We are creatures of instant gratification. It is often blamed on our generation, but I think it’s true for everyone. Why wait if you can get what you want right now? The very nature of SEO is built around patience though. Shortcut it and your gratification is short-lived. In other words, be patient. 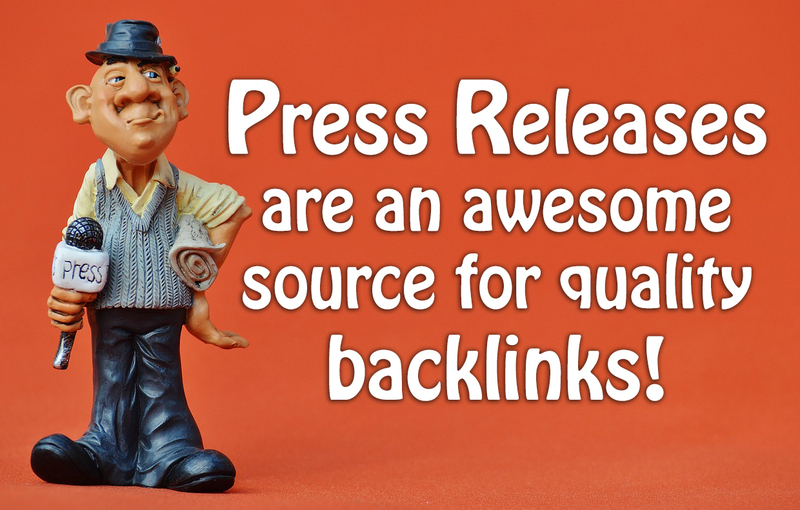 Get the press release ordered and then move on to other backlink building strategies. Don’t wait around for the press release to boost you to #1 on Google. It very likely will not do that. Especially not in the first two weeks. My experience with press releases (and most other forms of backlink building) nowadays is that they take about 2 to 4 weeks to fully kick in. So, links that you build today will likely not boost your rankings in the next few weeks. It takes time. 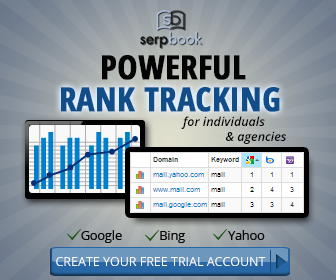 Continue building strong links though and you WILL start seeing your rankings increase. It’s inevitable. The Google rank improvements from a press release syndication service (like Niz’s) depends on a lot of things like keyword competitiveness, anchor text ratios, etc. I have seen a site come from nowhere to page one for a low to medium competitive keyword and from position #80+ to #20+ for a more competitive one. Because I go so broad with my choice of anchor texts – and because these links are so powerful – I see an overall rank improvement for most keywords I am tracking after each press release. Which basically means that the page I’m promoting greatly improves in authority in Google’s eyes. I have literally dozens of press releases out there linking back to my various money sites. About 90% of them were published in the last 3 months alone. So I not only KNOW them to work really well (hence my recommendation), but I happen to be very knowledgeable on the topic as well. If I missed anything in this Press Release Service guide or if you have any specific questions on the topic, please post them in the comment section below and I will do my best to answer. I’m here to help. 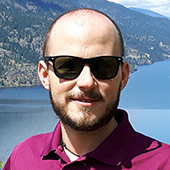 If you’ve gone ahead and tried Nixs done-for-you press release service, let me know how he did and what it did in terms of rank improvements for your website. I have heard much about Press Releases and SEO. I have a site that is stuck on page 2 and can’t seem to break page 1. I will give the PR a shot. Do you find this is still affective in 2017 rankings? Great article on Press Releases and SEO. Thanks for the info! Thank you very much, This information is really good. I am going to order.